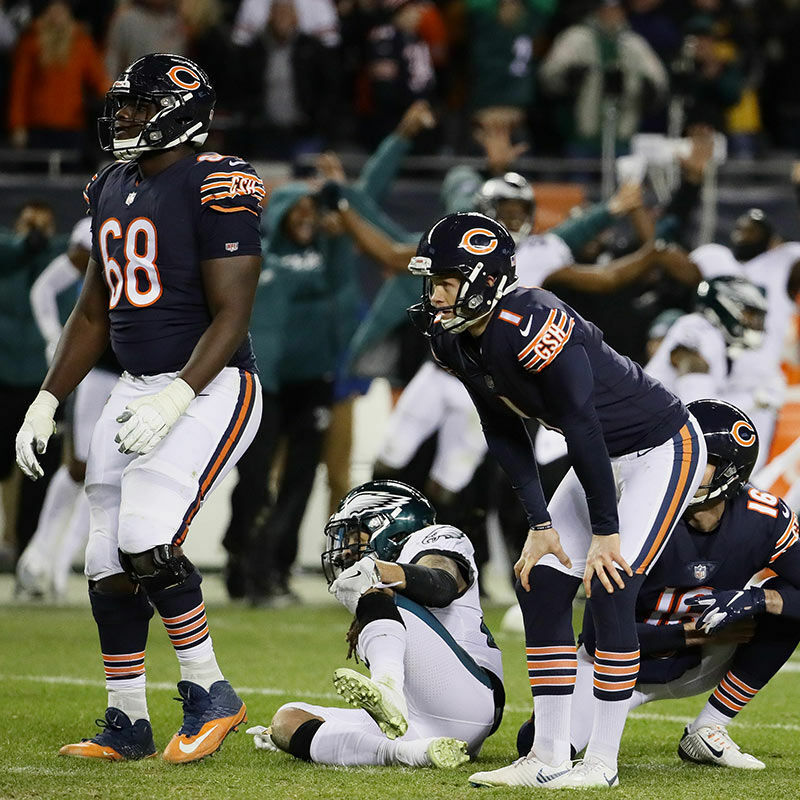 The scenes that followed Cody Parkey’s missed field goal as time ran out were not uncommon: Parkey hunched over in disbelief while his teammates looked on in shock at how their season ended. This was in sharp contrast to their opponents, who ran onto the field screaming and cheering as they realized they had survived to play another game. We have seen it before and we will see it again. It is the stuff of sporting nightmares or dreams, depending on which side you are on. But while the agony of defeat and the ecstasy of victory are common, so is the vitriol that comes after an event like this. Video footage released post-game showed an Eagles player thanking Parkey in a tone that can be best described as antagonizing, and Parkey was booed off the field by home fans. The bullying, rage, and insults were even worse on Twitter and Instagram. Videos, comments, and memes were posted making fun of the kicker. Others told Parkey he was worthless, called him profane names, or said that he was going to be physically harmed because of his missed kicked. It was disturbing and uncomfortable to read. These posts and insults isolated Parkey, telling him that he was less of a person because of the missed kicked, stripping him of the dignity that is inherent in being a beloved child of God who is created in the image of the divine. It is one thing to critique a person’s performance in their profession but it is another to determine that a person is unworthy or lesser because of what they do. In attempting to remove a person’s worth, we try and strip them of their identity as a child of God. In doing this, we also lose something of our own identity and calling. We are not called to dispense judgment on another, isolating individuals for their perceived faults. That is not a part of our identity as followers of Jesus. Rather, we are called to show compassion in all circumstances, supporting one another in community. In the third chapter of Colossians, the author speaks to the community about their new identity in Jesus Christ. They encourage those who profess a belief in the Triune God to not only stop partaking in immoral actions, but to also remove negative emotions such as anger and rage (Col. 3:8). The author understood that being filled with these types of thoughts would lead to division, not community. Rather than tearing down one another in our anger, the author tells the reader how they are to build fellowship. Colossians 3:12 proclaims, “As God's chosen ones, holy and beloved, clothe yourselves with compassion, kindness, humility, meekness, and patience.” We, as beloved children of God, are called to show compassion in all we do. There is no exception to this. We may not agree with everything that a person does and we may feel frustration and disappointment after an event, but that does not provide an excuse to withhold compassion. When we demonstrate our anger or rage at a person we isolate them from the community, we tell them that they do not belong. However, in living out our call to be compassionate we stand with the person who is struggling, reminding them that they are still a beloved person who has value. We show that our identity is found in witnessing to the same compassion and love that has been given to us. While many raged against Parkey for his missed kick, others stood with him. Jake Elliott is the kicker for the Philadelphia Eagles. After the game he took to Twitter, commending Parkey’s character and abilities. Rather than isolate his fellow kicker, he showed him compassion and stood in community with him. I don’t know what Elliot’s religious beliefs are, but I know that in this circumstance he demonstrated the compassion the author of Colossians calls us to model. The end of last night’s game demonstrated the wide range of emotions associated with sports. We love the feeling of winning, and we hate the taste of defeat. When we lose it is easy to isolate individuals who did not meet our expectations, showing our anger at the present situation. But it is not how we are called to live. As followers of Jesus we are called to show compassion, affirming the value of each community member and standing with them in the good times and bad.